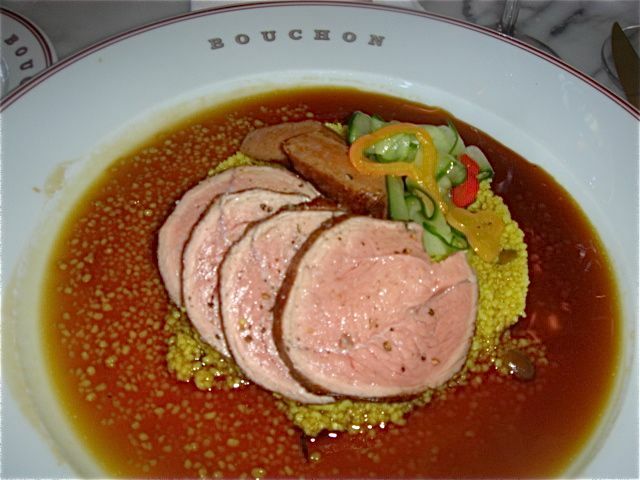 For some it might seem silly that we go to Bouchon in Yountville when we go so often to Bouchon in Beverly Hills. 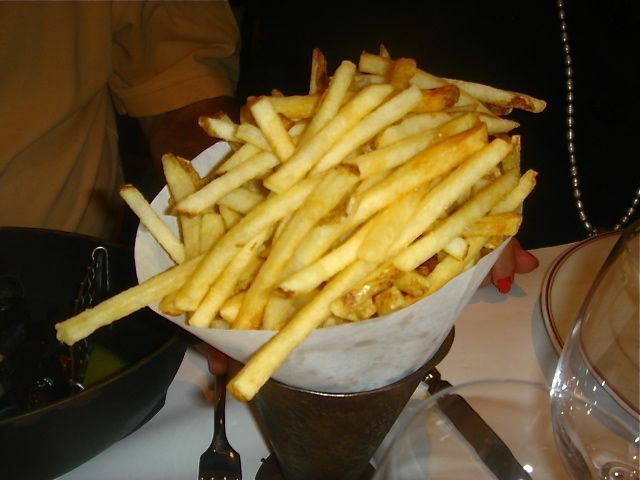 However, the vibe is completely different – Yountville feels like a bustling bistro in Paris. We wanted a light supper – nothing fancy, just simple bistro cooking. A girl can only eat so many 2 and 3 star meals. (I must be getting old as I used to do this all the time in France). 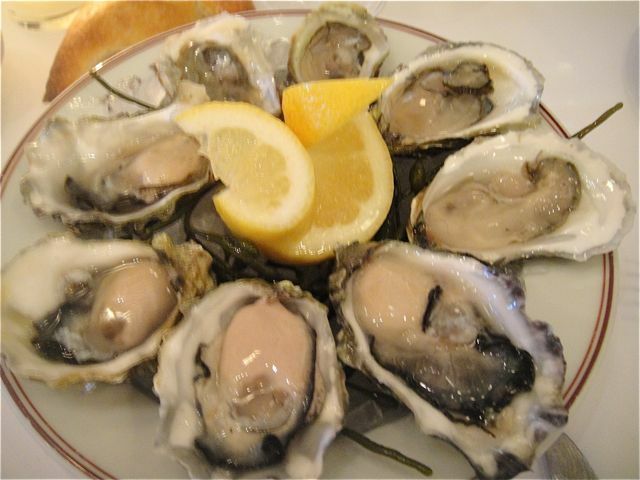 Oysters – so many places don’t shuck oysters properly – not at Bouchon – perfect slurping oysters – who needs a fork? 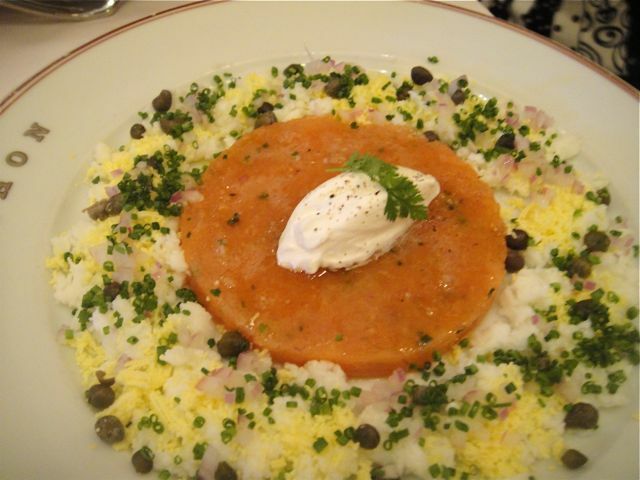 A gift from the kitchen – Salmon Tartare surrounded by chopped up egg yolks and egg whites, diced red onions, capers, chives topped with a creme fraiche quenelle. This was superb. 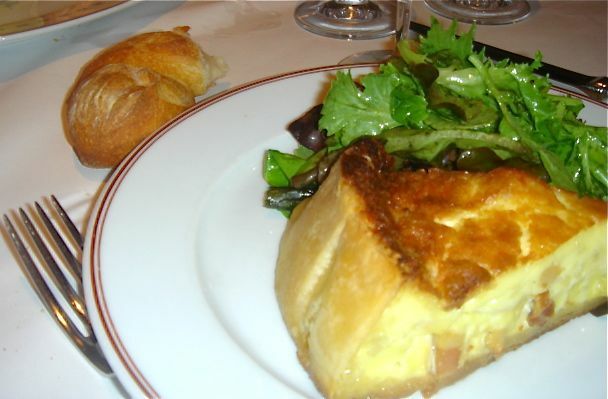 I definitely want to make this at home – see page 106 of the Bouchon cookbook for the recipe. Pate de Campagne – country style pate with watercress, cornichons and radishes – to be honest this pate was better than the pate at Beverly Hills – bursting with flavor. 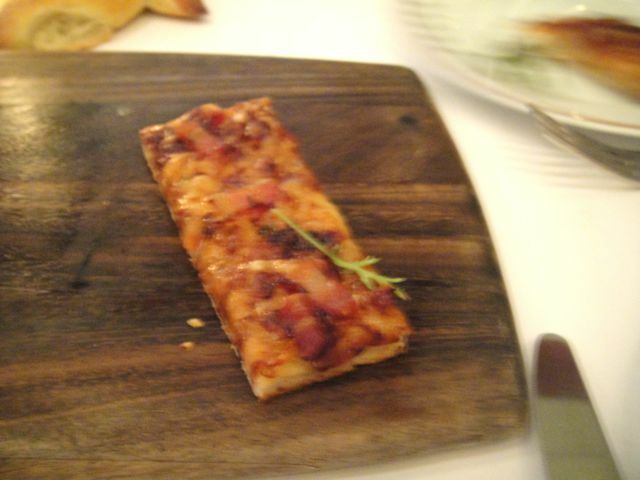 Tarte Flambee, tart of onion confit, creme fraiche, gruyere cheese and lardons (just one piece pictured) – another iffy photo that doesn’t show how perfectly executed this was done –delicious. A light supper that just hit the spot. 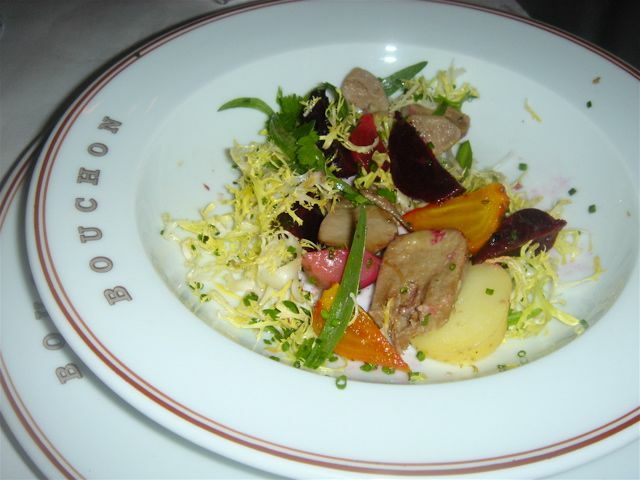 Bouchon in Yountville has basically the same menu as Bouchon in Beverly Hills, but the atmosphere is very different. Beverly Hills is much much larger and more formal. 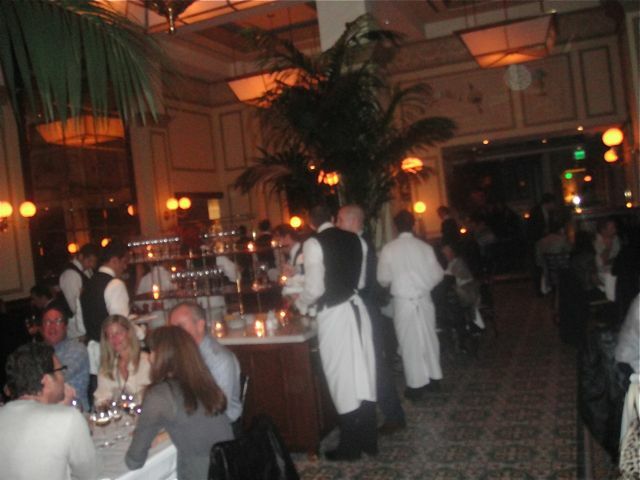 The Yountville Bouchon is much smaller with tables close to each other, much like a bouchon in Lyon. The atmosphere is bustling and informal. 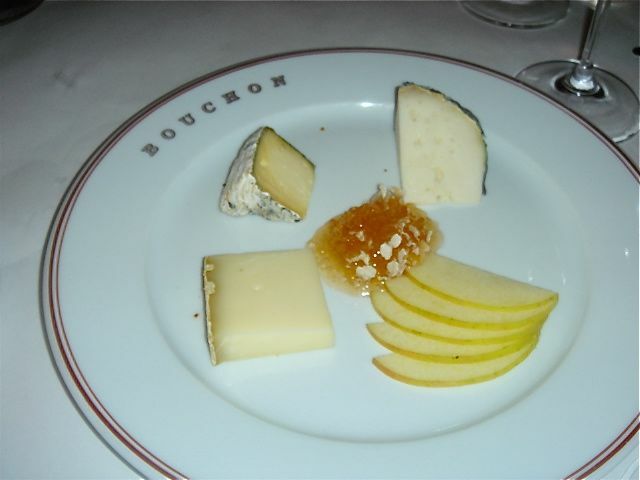 Going to Bouchon before a French Laundry meal is always a challenge – I keep saying to myself don’t eat too much and share everything. 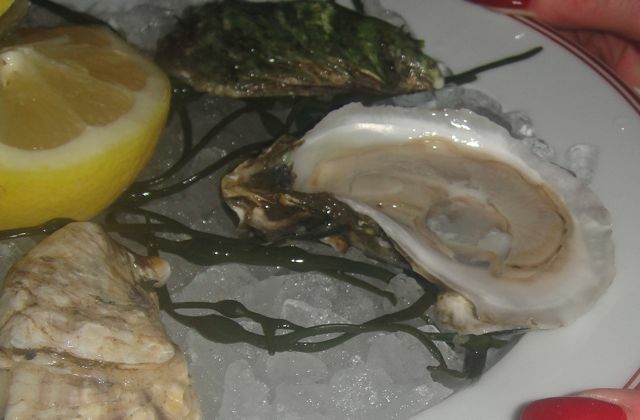 My photo guy was way too slow – ate 2 of my oysters before he remembered to snap the picture. Incredible uni from Ingrid of Maine. 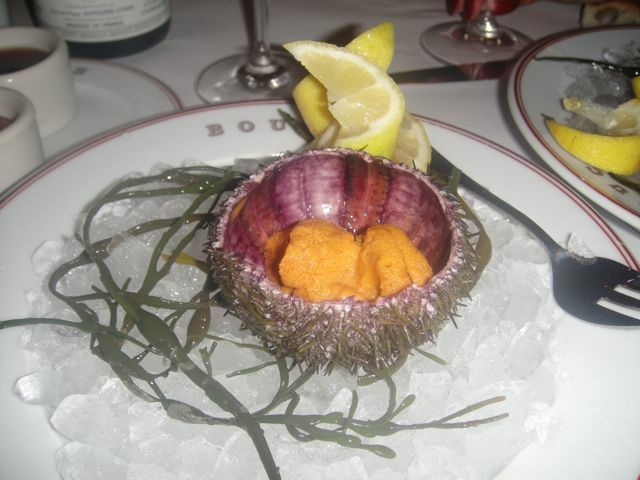 Not only does she now supply Bouchon, but she also supplies French Laundry with their lobsters and now some of their uni – live in the shells- perfect. I had to restrain myself and not order some more. 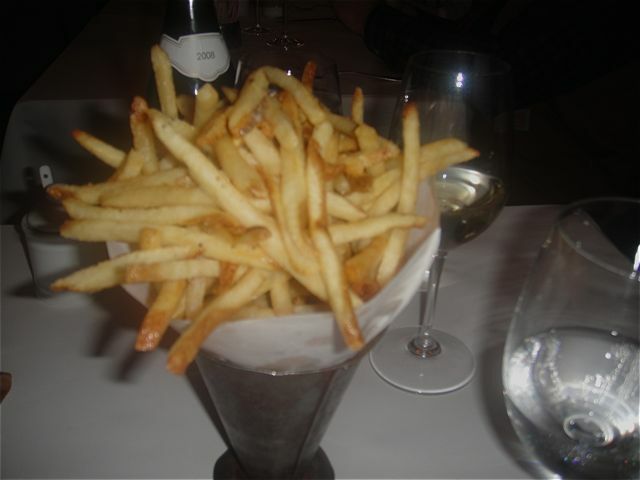 Black Truffle Fries – I couldn’t resist, but ended up giving most to the nice foursome from Dallas next to us. 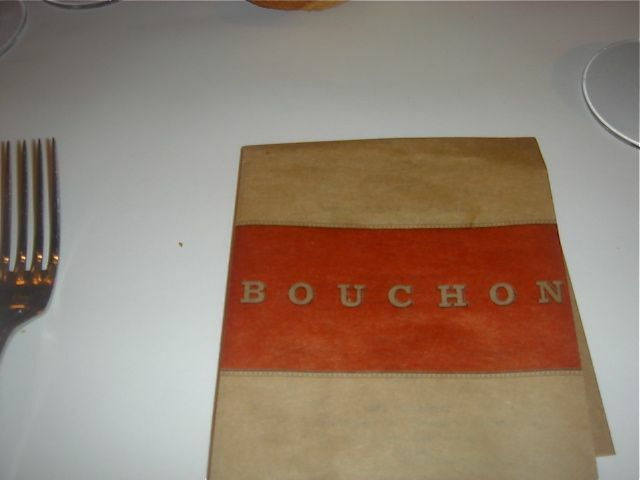 Bouchon is a bouchon. It is NOT the French Laundry and doesn’t pretend to be. People understand that in Yountville, but so far some of the Beverly Hills Bouchon diners seems to have a hard time accepting the concept. Our server, Austin, was superb. Church and State’s Beignets de Brandade de Morue, salt cod, saffron aioli – these were light as a feather – no grease, lightly battered with a sauce that was 4 star. Walter should bottle his aioli and sell it. He would make a fortune. As I mentioned, the service was excellent. 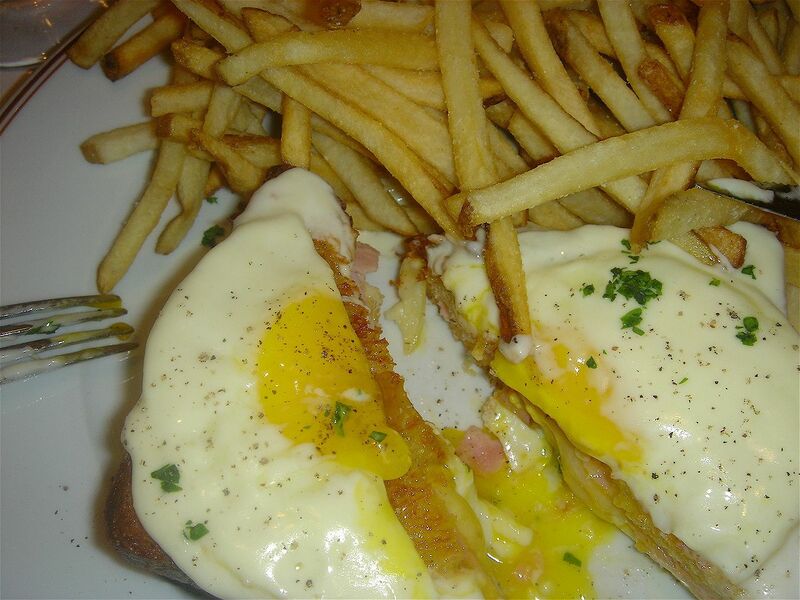 In retrospect, I wish I had ordered the charcuterie or one of my all-time favorites the Croque Madame. 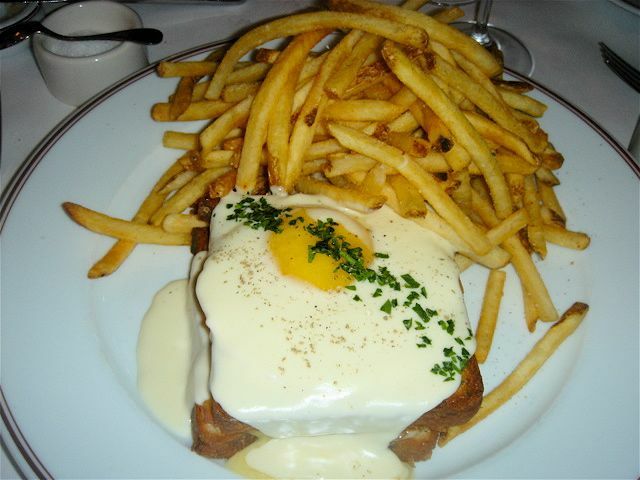 The perfect Croque Madame from a visit in 2007. 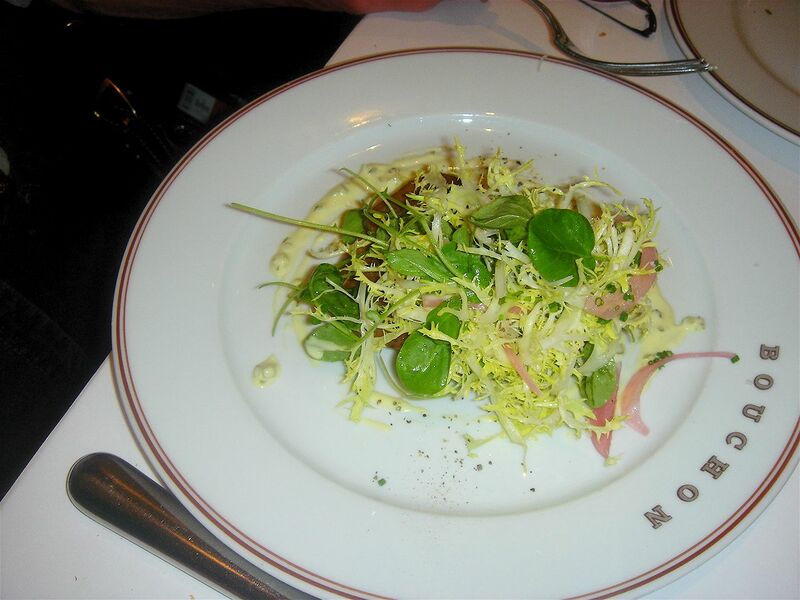 But, other than the brandade, this was a light refreshing supper on a hot summer night. 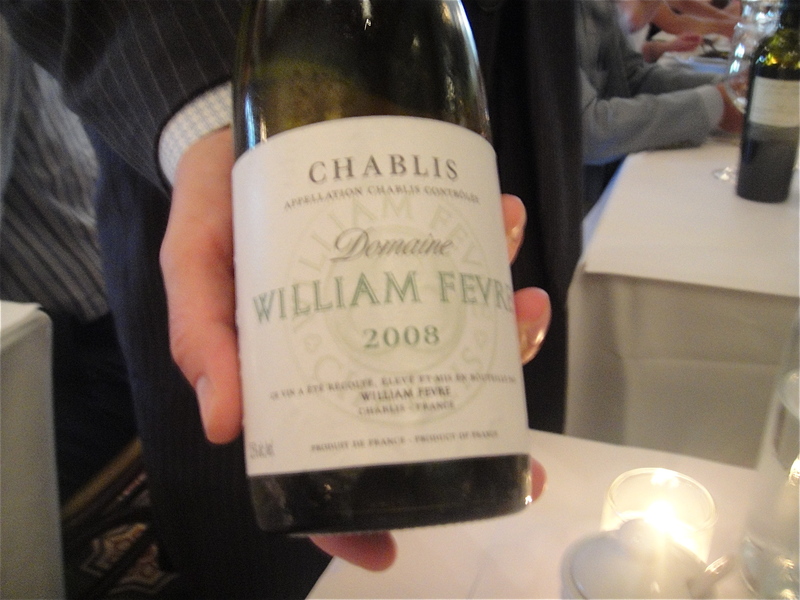 This is from a meal in late July that I never got around to writing up. 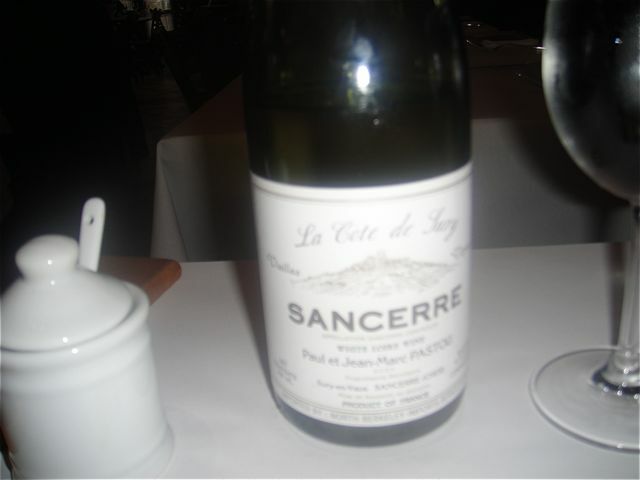 As always, we had to be very careful and not order a lot of food as we were dining at French Laundry that evening. 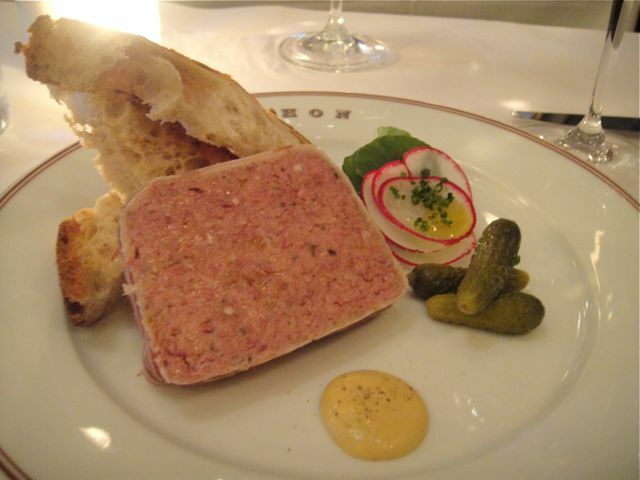 Bouchon is always satisfying – don’t expect haute cuisine – this is a bistro. 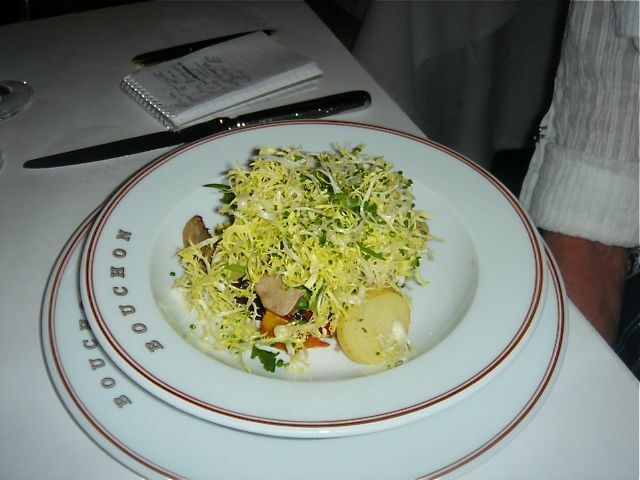 It is always with ultimate restraint that we don’t order a lot of food at Bouchon – our lunch must be light as we dine at French laundry in the evening. The bar area is gorgeous. 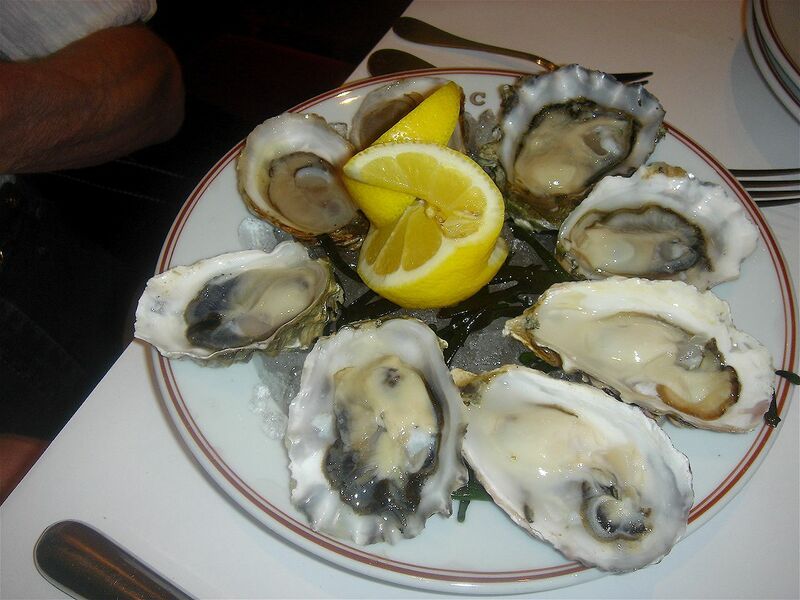 Oysters on the half shell – they had 5 different kinds of oysters to choose from and we choose one of each with an extra of one to make an even dozen. 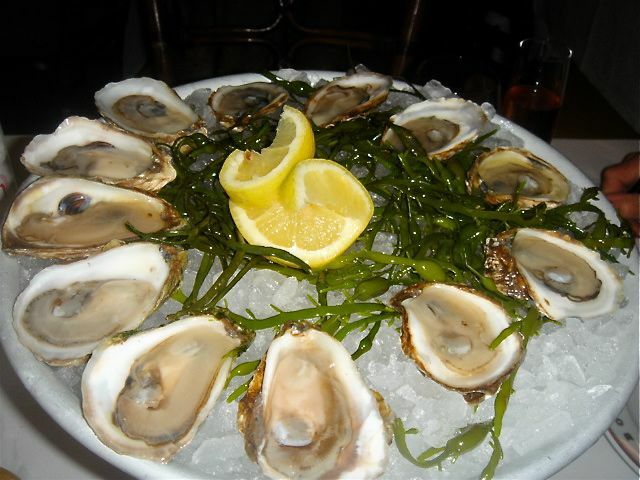 Cape Breton, Myakka, Saltaires, Kumamoto and Bagaduce. 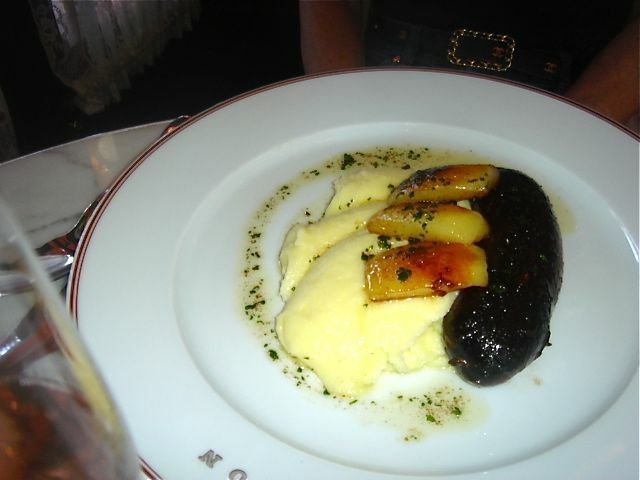 Me- Boudin Noir with poached apples, potato puree and brown butter – the potato puree was absolutely decadent. I can only guess that it contained a pound of butter in each bite. 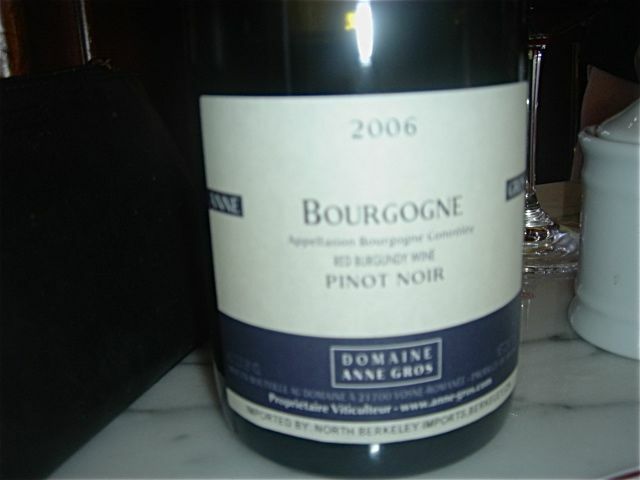 The boudin noir was excellent, although nothing can compare to Christian Parra’s boudin that we first tasted at Auberge de Galupe in Urt and then at Auberge iParla in Bidarray. 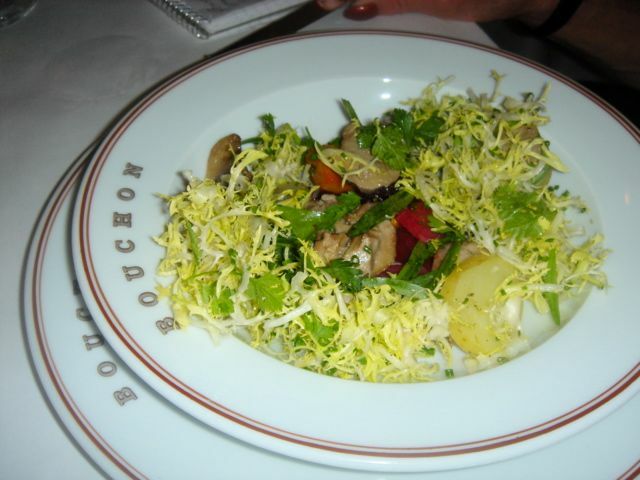 Bouchon is always a pleasure. 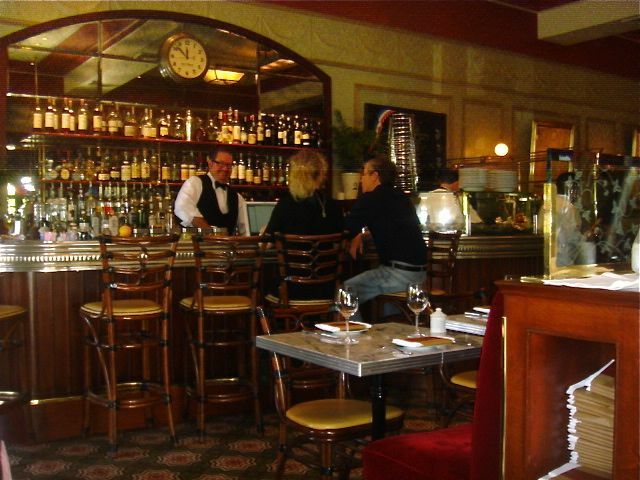 Yes, the tables are close together – much like many Parisian bistros. But, it is fun with good food. 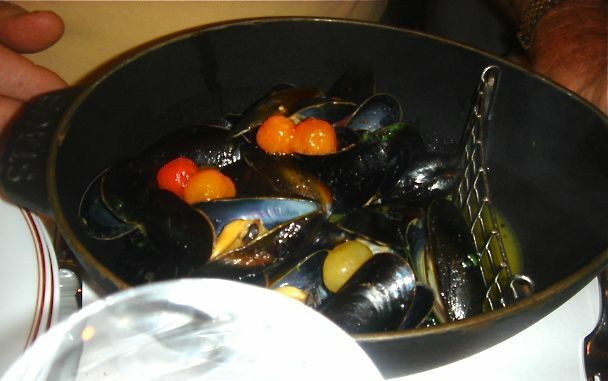 Just don’t expect haute cuisine and you will be more than satisfied. 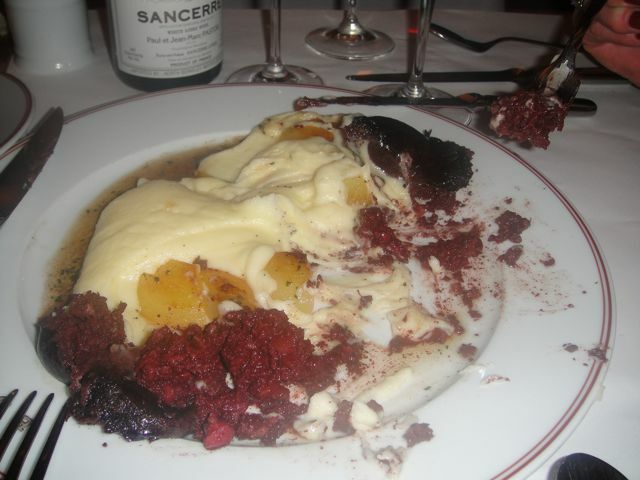 I have not been a fan of Bouchon and generally choose Bistro Jeanty for a bistro meal while visiting the area. But as we had decided to try Ad Hoc earlier and knew we were eating at the Laundry later, we figured we would make this a Keller Odyssey of sorts. 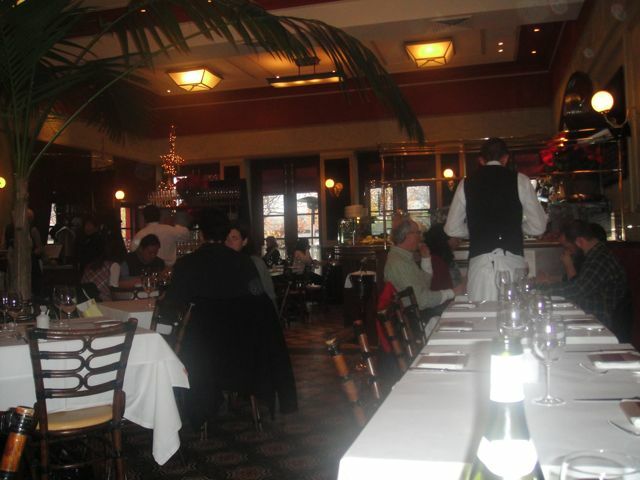 Service has greatly improved as well as the food. It is now definitely on our must list when we are up north. 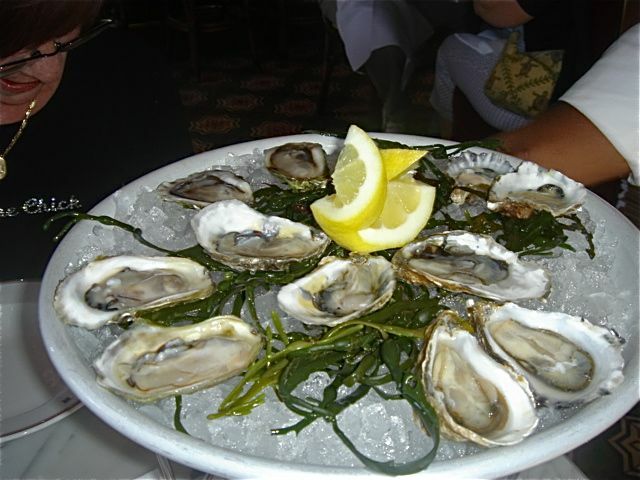 Oysters (4 East Coast and 4 West Coast) – Fresh, plump and tasty. Beef Tongue on pain perdue with frisee and sauce Gribiche – Although this looks like more frisee than beef tongue, it wasn’t the case at all. 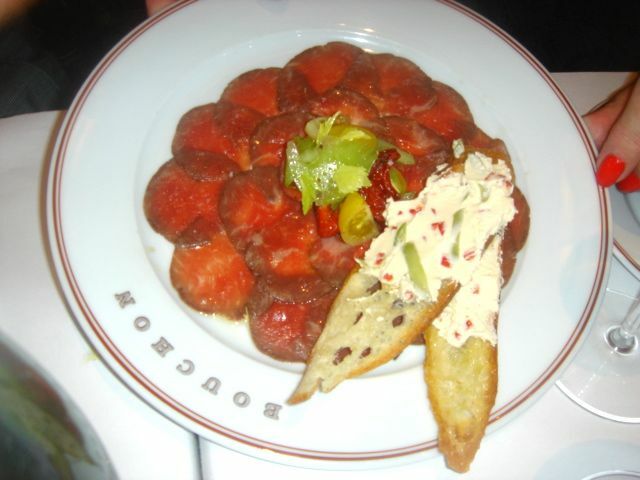 The beef tongue was melt in your mouth delicious and perfect with the bread and Gribiche. 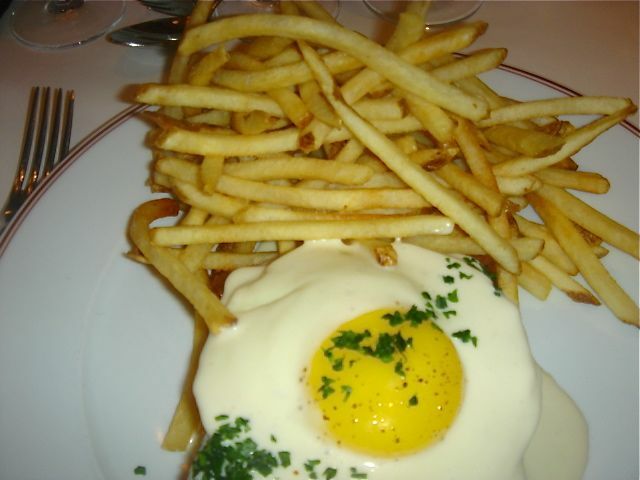 Croque Madame (toasted ham and cheese sandwich on brioche with a fried egg and Mornay sauce served with french fries) – John was a very happy camper.